I’d been thinking about how to cut the slots in my box lid for the miter keys. 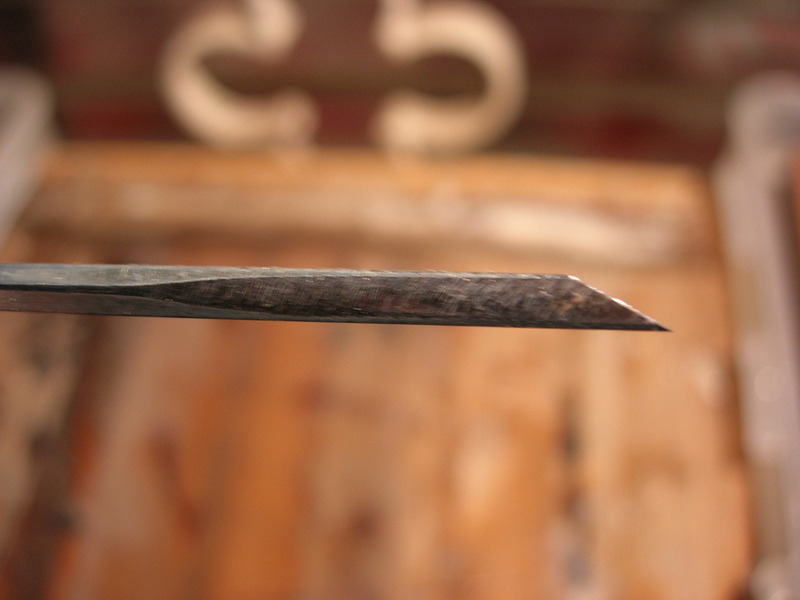 The narrowest blade I have is my 1/4″ chisel. Actually, I think my mini router plane blade is a touch smaller than that, but would still have cut far too wide of a slot. So here’s what I came up with: the allen chisel. My idea was to simply (simply, ha!) grind a bevel on an allen (or hex) wrench and then hone it up on my stones. I don’t have a grinder, so I had to do all my grinding with a file. Someone told me that an allen wrench isn’t tempered or hardened or whatever, and that as a result, it wouldn’t hold an edge. I figured no problem, I’m only using it for a few inches of grooves; it should stay sharp enough for long enough. 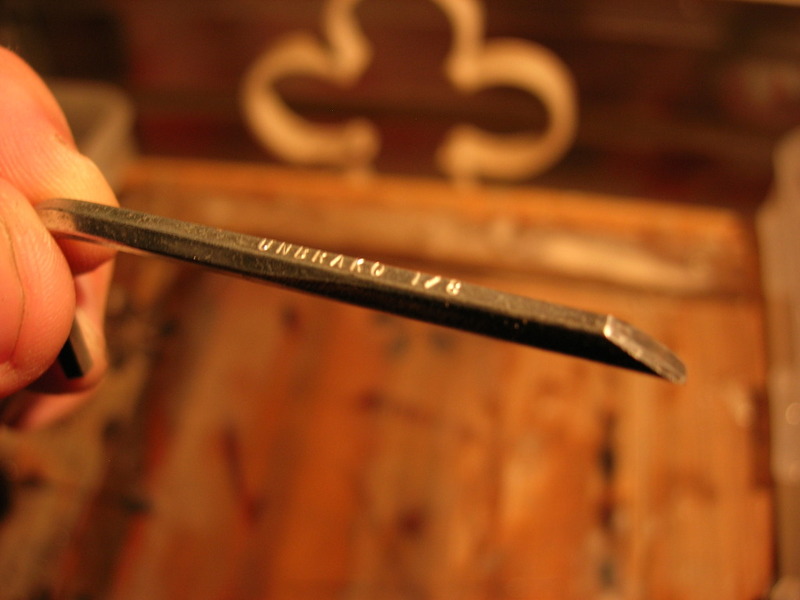 Stay tuned for the next post to see the allen chisel in action!